We revel in images, photographs, sketches, videos (think YouTube)… Our brain is a visual processing dynamo. We draw meaning through the visual; whether it’s the face of a potential mate, or the marketing of a product. What’s the visual for ‘collaboration’? 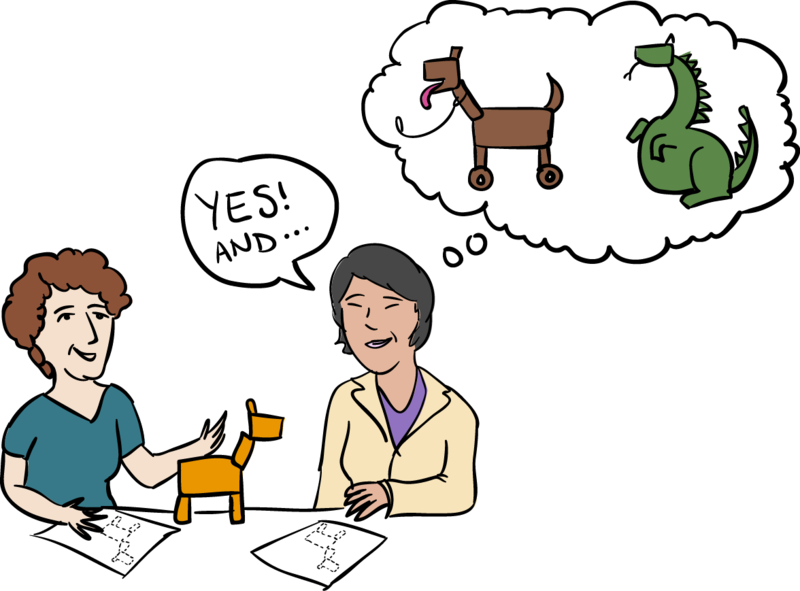 What visuals automatically triggers us to think and do collaboration… to say, “yes, and…”? I’d been dwelling on what collaboration visuals look like for three years (although it seems longer!). In my work as a mediator and facilitator, I wanted a quick visual reference guide of the techniques I use. So, I started to build a list of icons for collaboration; adapting others, and creating some from scratch. 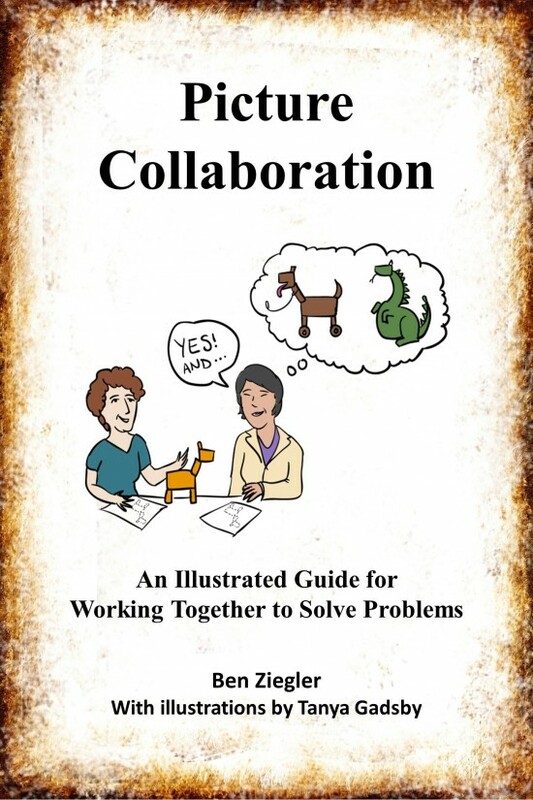 Last week, the fruits of my collaborative icons quest led to publication of Picture Collaboration: An Illustrated Guide for Working Together to Solve Problems. I collaborated with another Rethink Urbanite, graphic recorder and visual artist, Tanya Gadsby, to get it done. The core idea of this e-book is that we can habituate ourselves to good collaboration through visual literacy. The book creates collaborative signs for the journey ahead. While I pat myself on the back for the icons, my illustrative skills are rudimentary, at best. That led me to Tanya (thank you Lorne Daniel!). In addition to her talents as a graphic recorder, Tanya knows collaboration, and is a facilitator in her own right. I feel her illustrations are unique, emotive and connective. They influenced my thoughts and truly capture the collaborative spirit. Pictures are worth a lot of words. Who is Picture Collaboration for? The target audience for this Guide is facilitators, both those who facilitate full-time, and those for whom facilitation is just part of what they do; project managers, coaches, trainers, mediators, consultants, leaders, teachers, urban planners!… Of course, in the bigger picture, we are all facilitators, at one time or another. Picture Collaboration is available as an e-book ($5) on Amazon, here. What ideas do you have for using icons and/or illustrations as a way to engage others; for urban collaboration, innovation…? Add your ideas in the comment box below. I intend to collate and freely share those ideas, from here, and elsewhere. 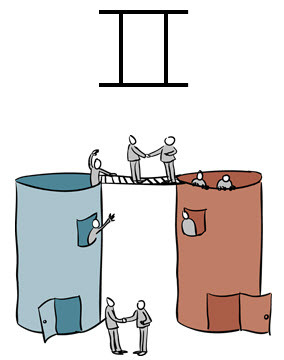 Maybe Picture Collaboration can act as a catalyst for you; to apply visuals in a new way, for public good? Please. The world needs more people fluent in the art and practice of collaboration. Go for it. Tanya and I enjoyed collaborating on this Guide. If you liked this Guide, tell others. Spread the word, and visual!